Nearly all the constitutions in most of the countries of this world guarantee the respective freedoms of speech and of the press. Both freedoms seem to be fundamentally based on the freedom of religion. 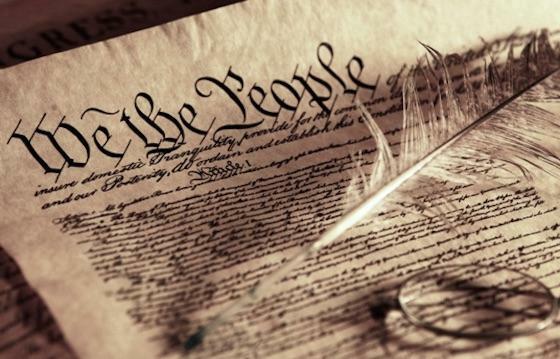 An amendment to the constitution of the United States of America demonstrates this with relatively few limitations. In Europe and Asia, tradition would demand and enforce quite a lot of buts and ifs to go with these freedoms. Congress shall make no law respecting an establishment of religion, or prohibiting the free exercise thereof; or abridging the freedom of speech, or of the press; or the right of the people peaceably to assemble and to conceive of and enact redress of grievances. The freedom of pleasure on the other hand is not provided for or guaranteed by any constitution we would know of. The reason for this seems to be that the coalition of officials, officers, industrialists, smallholders and craftsmen who enacted and won the English, American and French revolutions, did not particularly like thoughts about pleasure. Why? That was because their limited analysis of the world told them that the main difference between them and the nonfunctional elite they just had dethroned was that they, the new elite, worked all the time whereas the ancien regime nobility did practically nothing but devote itself to pleasure and occasional wars. Any woman, man or group shall be responsible to govern the freedom of pleasure individually and in a rather nondestructive way, please. So, if you want to register to, read, proliferate or in any other than a completely passive way use these pages, you oughta agree to the above mentioned prerequisites. You should support the freedoms of religion, speech, press, peaceful assembly, redress of grievances and the nondestructive individual regulation of the freedom of pleasure. Todo el mundo sabe que los dados están cargados. We do have a cause though. It is obscenity. We're for it. Unfortunately the civil liberties types who are fighting this issue have to fight it owing to the nature of the laws as a matter of freedom of speech and stifling of free expression and so on but we know what's really involved: dirty books are fun. That's all there is to it. To this you only need to agree to informally and without expression. The gentle woman enjoys and keeps quiet. To be able to take an active and visible role (to praise and to blame right here and now) the concerned party will be obliged to register with the antville user database and correctly answer the subsequent and repeated login challenges. It will then be thoroughly geolocated, deep-packet-inspected, remotely x-rayed and reserved for delayed use as an innocent victim of the 'better-products-communications' industry. In the quite unlikely event that readers or viewers were to discover any omissions or inaccuracies in these pages, they are welcome to report them to scilabs(at)jammed.co.jm, our scientific service dept., where the facts listed in your report will be thoroughly investigated, submitted to rigorous testing and, if substantiated and judged useful, quite probably included in a subsequent update. This will work so fast you will not even notice.